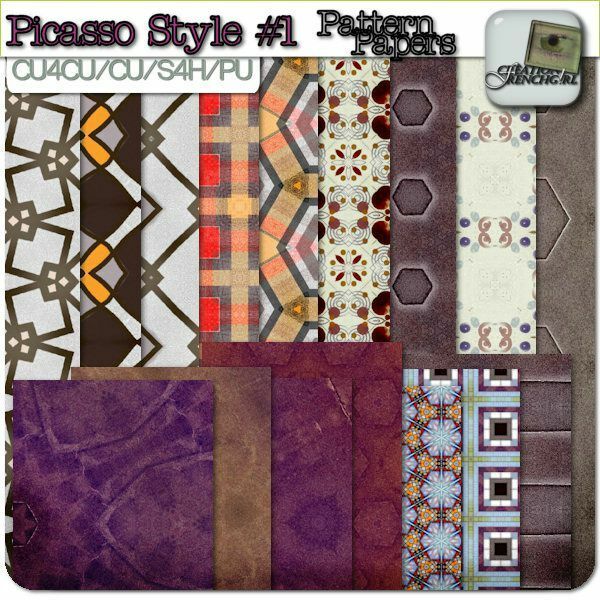 Inspired by the colors of the kit Picasso Style #1, 16 papers with texture free and varied pattern. To coordinate with elements of the Picasso Style #1 kit or simply to complete a kit or a page or why not create items. Free Gift with $7.00 Purchase.